1. 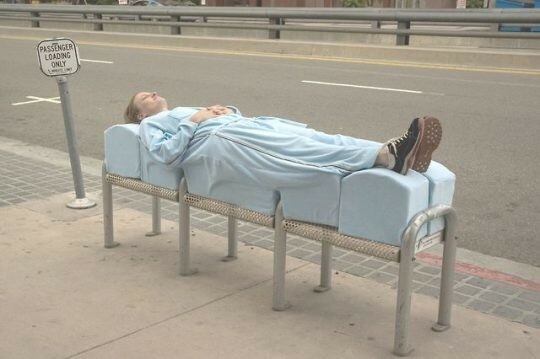 Bench designed to prevent homeless people from sleeping on it is circumvented by wearable padding. 2. Ramps placed around a building to prevent homeless from sitting on the sidewalk next to it. 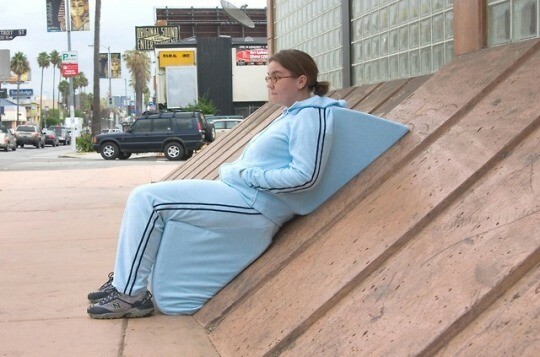 A woman sits on the ramps using angled, wearable padding. Is it just me, or are more people submitting uncaptioned images these days?